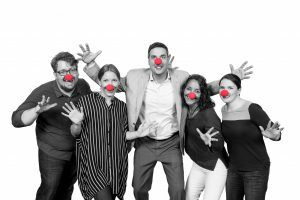 In 2014, Kinetic worked hard designing and developing a new website for Ronald McDonald House Charities of Alabama. Through that partnership and other connections, a long lasting relationship was started. RMHCA loves our website and will forever be grateful to Kinetic for their great work (if you saw the website pre-redesign, you understand!). Kinetic has also supported RMHCA through other avenues, like our Adopt-a-Room program. This year, we were able to complete the renovations to the remaining guest rooms that had not been updated since our opening in 2007. Many families travel to Birmingham for specialized treatment that can cause long stays far from home. Our House provides a private room where they can rest and get ready to take on the challenges brought on by their current situation. Studies show that parents whose children have longer hospital stays benefit from higher quality of sleep at a Ronald McDonald House compared to parents who slept at their child’s hospital bedside. Children’s of Alabama, which recently had EIGHT pediatric specialty services ranked among the top 50 in the nation by U.S. News and World Report, has a lot of patients from all over the state, country and even from around the world. These patients’ families have traveled far to ensure their children are receiving the best care possible, and Ronald McDonald House is there to help their stay be a little less stressful. 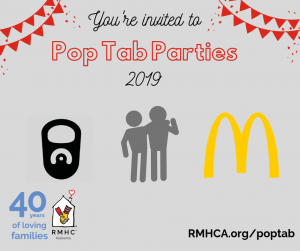 If you are interested in our Adopt-a-Room program, contact Kathy Robson, Director of Development, at kathy.robson@rmhca.org or (205) 638-7258.